I was weighing whether I would leave Venezuela for a post. But that election in Brazil had so much of Venezuela in it that I shall not diverge. Most of the "democratic" left, and of course the whole undemocratic one are in tears tonight. The awful Bolsonaro has been elected. He did not get the 60% he was threatening to get but with 55% he has, well, a mandate. However, I do not read much self criticism within the left in the rise of Bolsonaro. 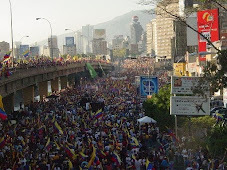 I will take for button its lack of condemnation to the Maduro regime. The losing Haddad never got to condemn as far as I know, costing him a couple of points at least. Bolsonaro did not lose those points. So I got my latest condominium bill. Needless to say that I was flabbergasted. I ran a graph of this year payments. In blue, the amount paid monthly over the year on base 100 as of September. The red square was an extra payment for some stuff that broke down. To lighten up the graph I decided to consider as 100 this September payment and thus the other months are a percentage of what I paid this month. But of course this is not clear. Since I am a scientist I immediately saw the logarithmic scale representation potential on what is an exponential hyperinflation. Here below. Now you can see by yourself how fast inflation goes. You can see better than the previous graph the real payment for February (reddish square) which was the normal condo plus an extra payment for elevator water pump repair (I think it was). Not that it changes anything, just for full disclosure. And yet the monthly fold increase is not quite clear from this graph. So I added an exponential trend line. So there you see it, condo is multiplied 10 fold every 3 to 4 months. Though that rate was lower early in the year (4 month) and is speeding up now (every month and a half). I tremble as to what will await me for the 3 months end of the year. So now you can feel my pain, at ground zero of hyperinflation. Note: I was going to write a brainy post of unrequested advice as to what the opposition should do in the coming weeks. But fortunately I procrastinated some and then there was a whirlwind of events that would have made that projected post nearly useless. The part 1 is still valid. Let's see how long does part 2 stands the test of time. There is a new crisis of "to vote or not to vote". And the opposition is falling into the same self destructive behaviors, opening the way for the final political push of chavismo. Which does not mean that Maduro will last, the economy is tanking. What I am talking about is a new self destruction episode of the opposition leaving no other option than a chavista replacing Maduro. Maybe. Yet this time around the reasons are not the same, nor are the stakes as they happened in the last three elections. The worse of the current mess is that we are already tearing each other over an election that not only has not been convoked but may never be. Let's review the situation in this first installment, letting for the next one a possible opposition strategy that shall not happen. And by that I do not mean the marines landing in La Guaira tomorrow. It will not happen. We are in the XXI century and things are done in other effective ways, as needed. The title comes because the opposition is STILL collapsing further, in an hopeless slump that stops it from benefiting from any bonus point undeservedly thrown its way.